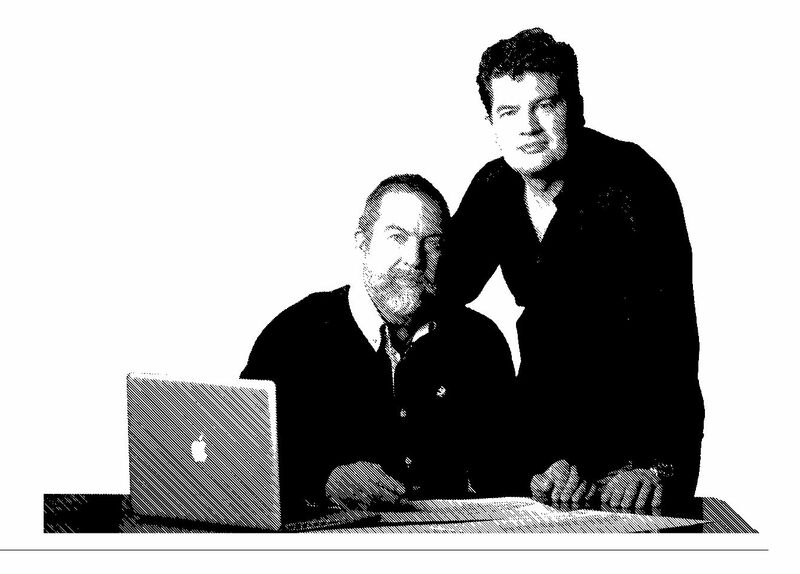 Dutch designer Frank Mulder is a naval architect with over 40 years’ experience. Working alongside his son Bas and the team at Mulder Design, he is equally at home creating high-speed powerboats or fulldisplacementsuperyachts, combining aesthetic flair and technical knowledge to design vessels that not only look good, but also perform efficiently. You are both naval architects: how is this an advantagein your work as yacht designers? Bas: Without that technical knowledge you can make a concept look nice, but it might not be a feasible design. 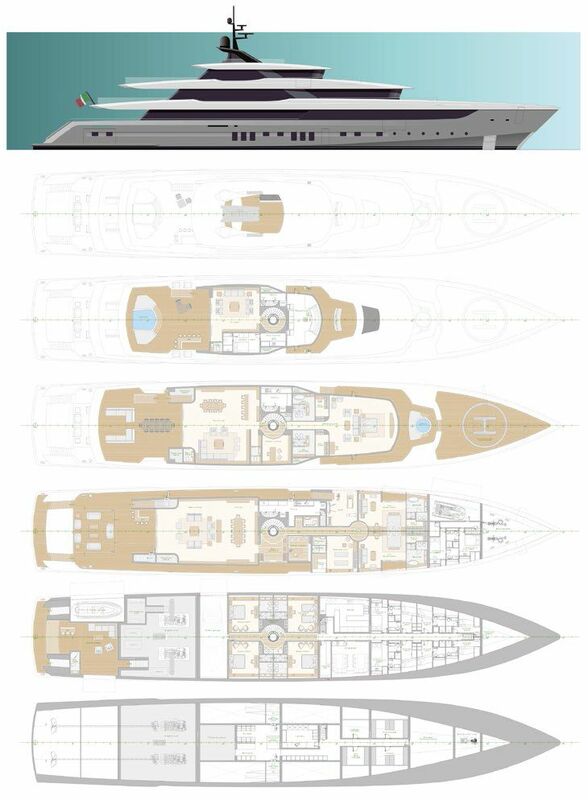 We feel it’s really important to understand how long or wide a particular hull type should be to be seaworthy, how high the superstructure should be to ensure stability, or how much space is required for the engine room and fuel tanks. In fact, we develop the styling around the technical principles, not the other way round. Frank: There is always an element of compromise between the technical and aesthetic considerations. For example, we might develop a new project and the client says “But my old boat didn’t need such big ventilation ducts.” And we have to explain that his previous boat had 12V Caterpillar engines and the new one will have 16V MTUs, so we need twice the ventilation capacity. But we can also judge the feasibility of moving the engine room a bit further forward to provide a larger beach club, so understanding the technical principles actually gives us more flexibility. How did you apply this know-how to the Sestante concept? Frank: Baglietto approached us because they agreed that the naval architecture would be a key feature of the project and they liked what we’ve done in the past. We worked closely with their technical office, but also with the in-house designers on the exterior styling. It was a very positive experience and together we made a great little team. Bas: Of course, we studied previous Baglietto projects to understand the design language of the brand, but when we presented our first concept they felt it was too similar to past designs and wanted something different, so we took a step back and tweaked the lines. The final design still reflects Baglietto’s heritage, but also looks forward to the future. The technical platform for Sestante is based on your High Speed Cruising Hull: can you tell us more about the hull design? Bas: In comparison with a conventional displacement hull, the High Speed Cruising Hull offers higher speeds without the use of excessive engine power or lightweight construction. This means you can build in steel and use standard accommodation layouts, generous systems to reduce noise and vibration, and still cruise at 20-plus knots with reduced power, which appeals to today’s owners who want shorter transit times. Frank: It’s all about optimising the ratio between the waterline length and beam and draft, and how you distribute the volume over the length of the hull. There’s also the bulbous bow, and we tested 25 bulbous bow shapes using CFD analysis. So there are multiple areas where small adjustments can provide incremental improvements. Sestante may look like a normal displacement yacht, but we changed a lot in the hull design to achieve higher speed, longer range and more cruising comfort. Is burning less fuel a requirement of owners today? Frank: Increasingly so, for various reasons: it’s more eco-friendly, but it also saves money and increases range. Just as modern corporate jets are designed to fly further without refueling, superyacht owners appreciate being able to cruise further, even if they’re not on board during transits. In addition, smaller fuel tanks mean more utility space. In the case of Sestante, we have space for an under lower deck with a workshop, a rack room for audio-visual equipment and a big laundry. These features help the crew operate the yacht more efficiently and, as the saying goes, a happy crew makes a happy boat.